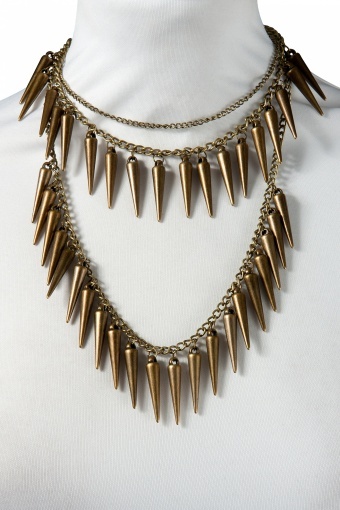 Double Layered Funky Spikes necklace. 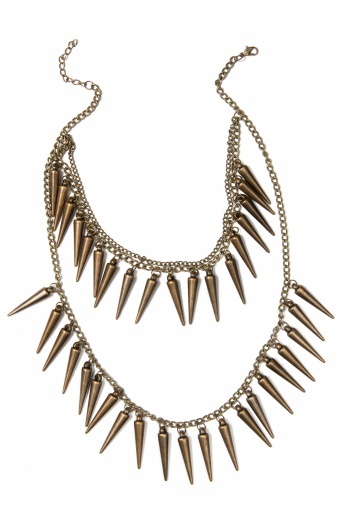 A real eyecatcher, especially on your sunkissed skin ;-) The shortest of the three chains is the finest one. The two other chains are richly decorated with bronze coloured cones. Soooo hot!